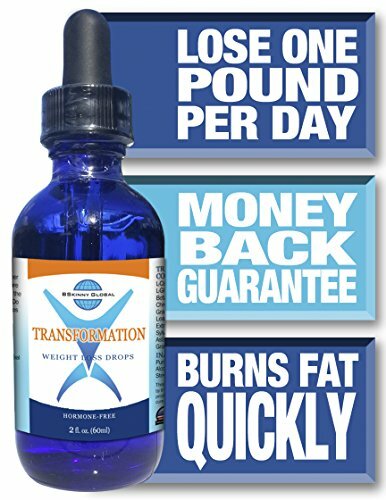 The Transformation Weight Loss Drops can help shred your body of its unwanted fat while maintaining your lean muscle mass. Transformation Weight Loss Drops are very effective on a Very Low Calorie Diet (VLCD). It is the VLCD that causes the weight loss. Burning more calories than you consume, with few exceptions, simply equals more weight loss. When you go on a VLCD, your body can think it is starving and begin to burn more muscle than fat. The reasoning behind this is that one pound of muscle burns more calories than one pound of fat. Fortunately, the Transformation Drops can help maintain your body's muscle while losing fat. Muscle correlates with your body's metabolism (the rate you burn calories). We want to protect this muscle!! The TRANSFORMATION Drops help minimize muscle loss and maximize fat loss while on the VLCD. They are also a powerful appetite suppressant and help you maintain your energy levels while on the VLCD. The drops help maintain your Muscle while losing Fat while on the VLCD. This is very important to help prevent the Yo-Yo effect of dieting. They Work!!! We wish you wellness. If you have any questions about this product by BSkinny Global, contact us by completing and submitting the form below. If you are looking for a specif part number, please include it with your message.